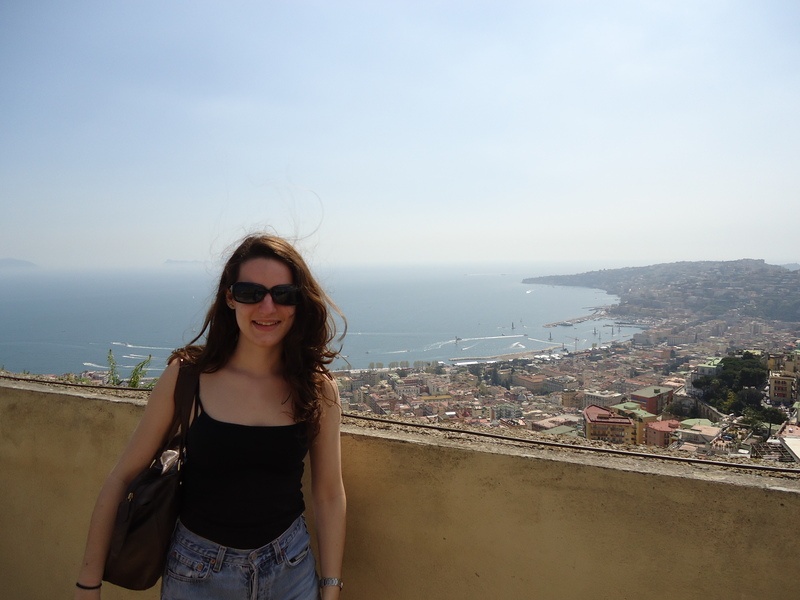 On Friday I jumped on an 8.30 train (practically lunchtime compared to the ones I’m used to getting) and headed to Naples to spend the weekend with Jo. 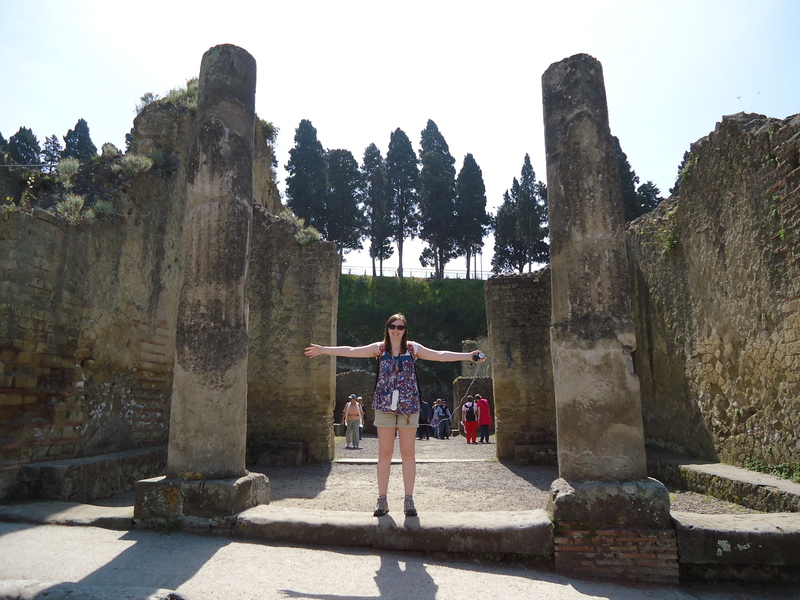 I was pretty excited since I’ve never been anywhere south of Rome and wanted to see what the big deal about the ‘north/south’ divide is. 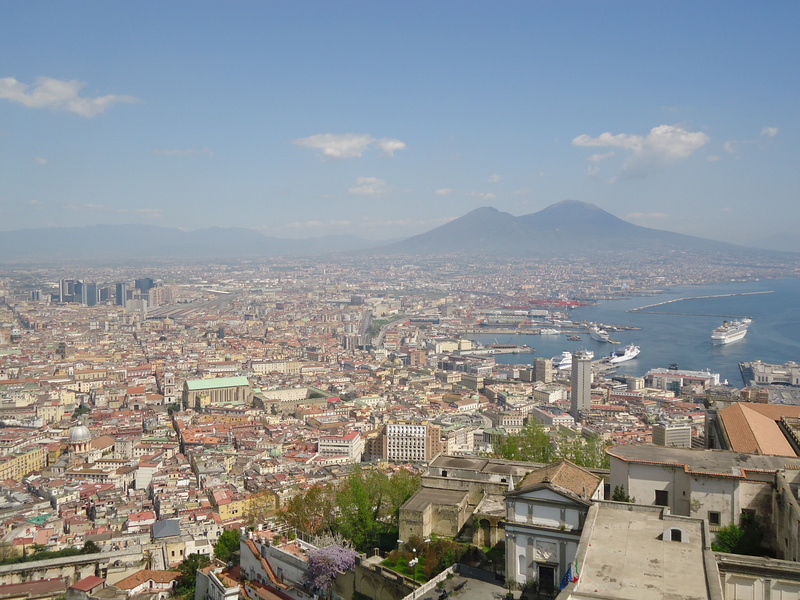 I changed at Rome and got a superfast Frecciarossa to Naples which only took an hour. I tried to hide my excitement when I found out that we were going 300 km/h, such a novelty to me. After a wait at the main station for Jo’s train to get in, we headed off to the hostel, during which time we found that a) it was far too hot to be wearing jeans but b) we would definitely stand out as pasty British tourists if we put shorts on. We stayed at Hostel of the Sun, which is probably one of the best hostels I’ve ever stayed in purely because the staff are awesome. 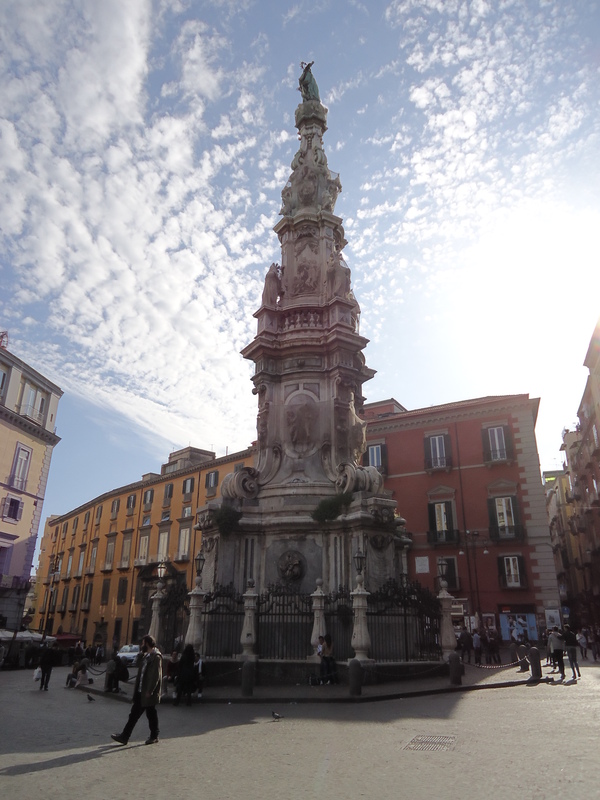 From the moment you check in they remember who you are for your whole stay, and are great for advice on where to visit and when, where to find the best pizza, what type of tram tickets to buy to get to x location, etc. etc. 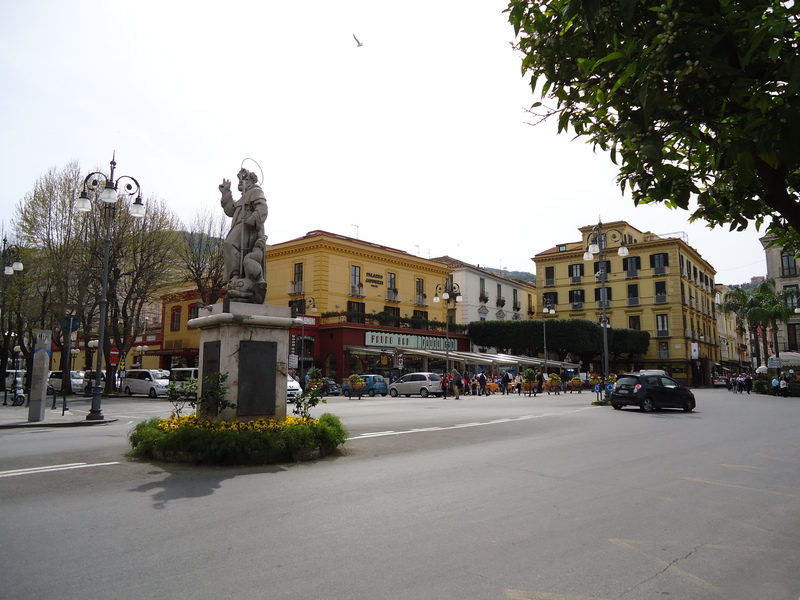 Friday afternoon was spent exploring the historic centre and the harbour area. 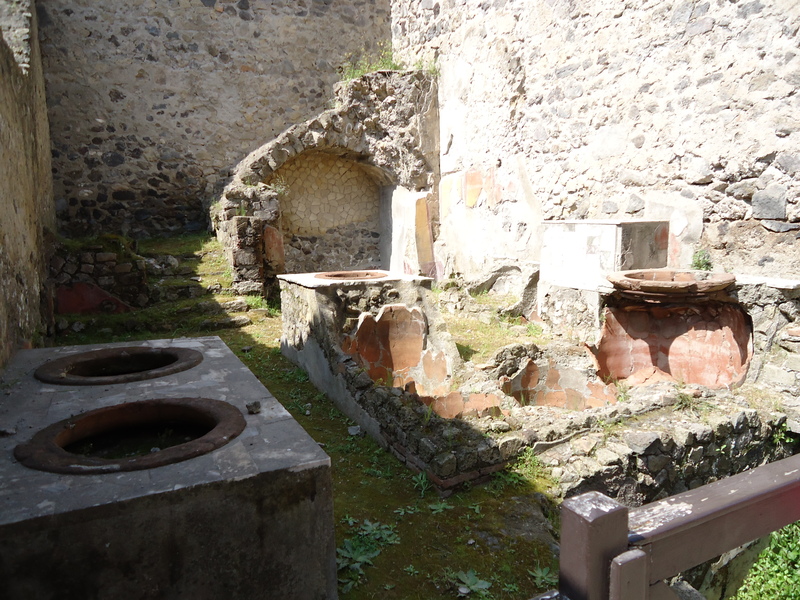 What definitely struck me about Naples is that compared to the other Italian cities I have been to, it is definitely more dirty/gritty/proper Italian. 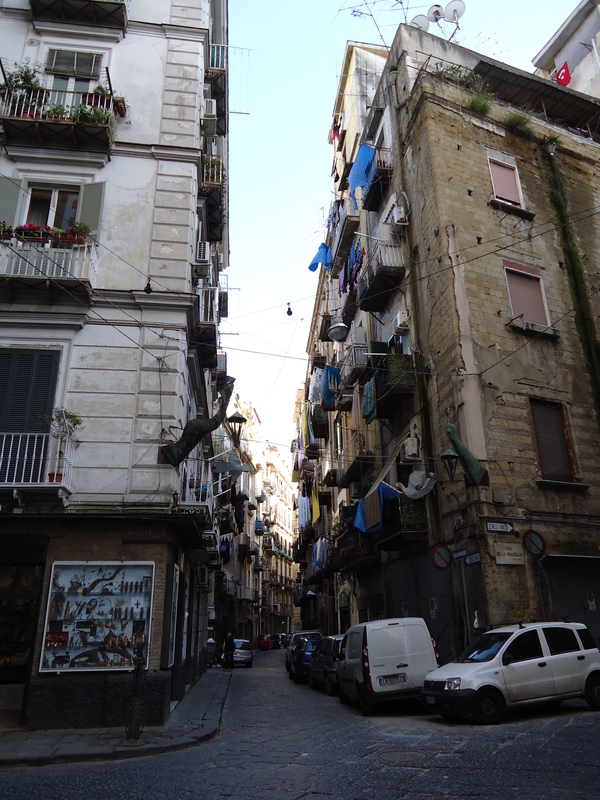 There are tiny streets and back alleys squashed between tall apartment buildings where every balcony has laundry hanging from it and everyone rushes around on mopeds. 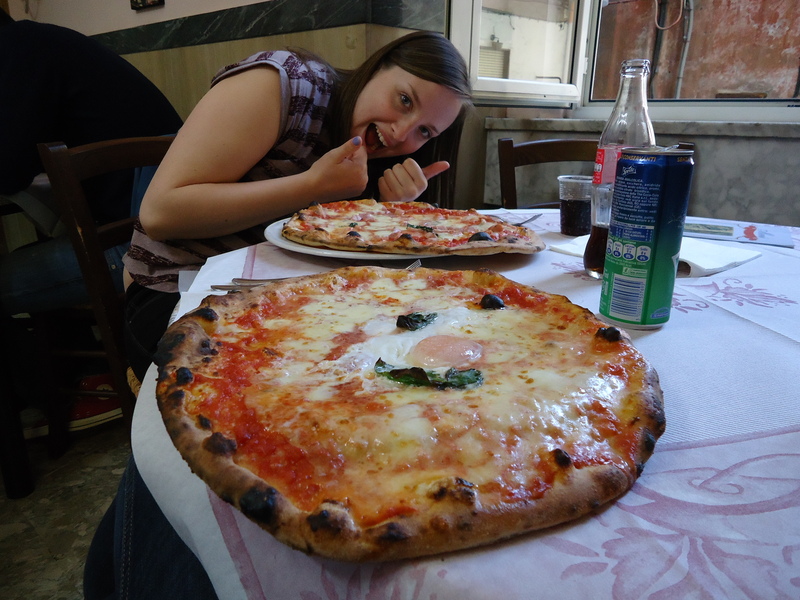 We also had some amazing pizza at the popular Di Matteo’s, although we foolishly believed it when we were told it would only be a 10 minute wait, which ended up being more like 40 minutes, but all worth it in the end. 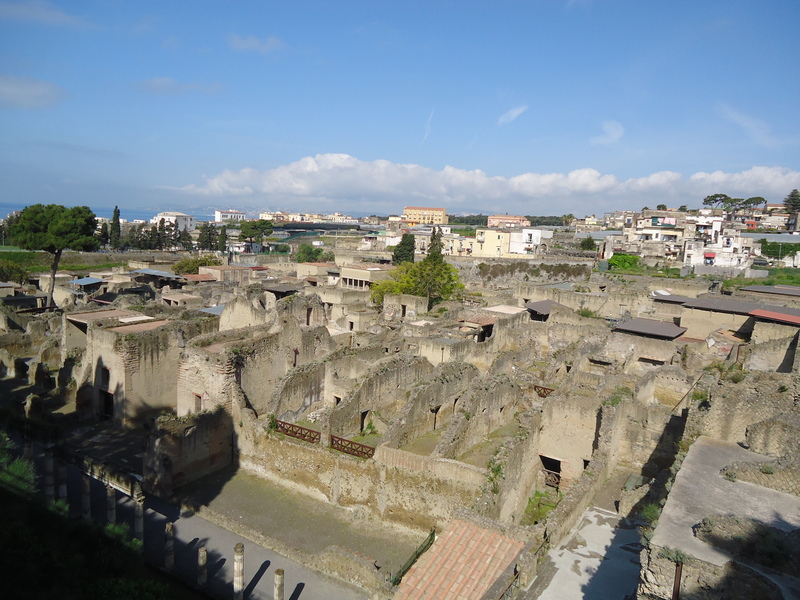 On Saturday we headed to Herculaneum, one the smaller less famous towns wiped out by Vesuvius’ eruption. 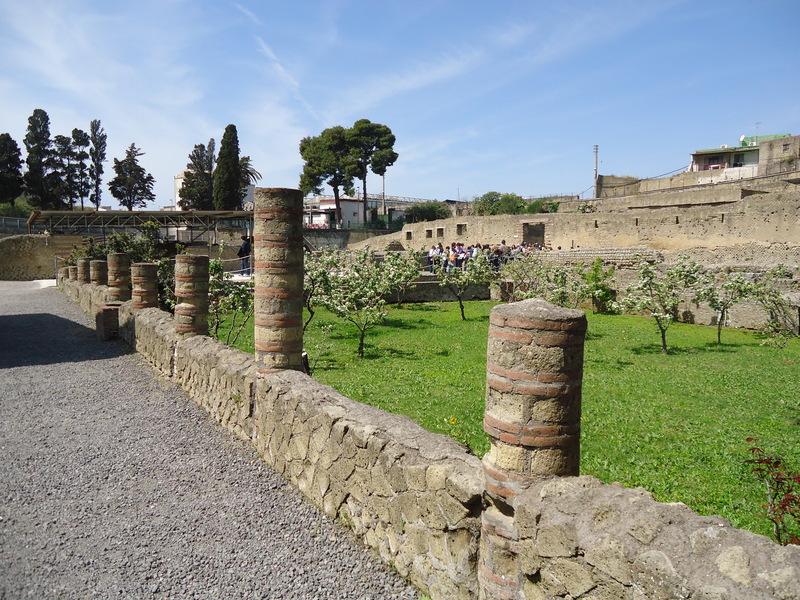 We decided to skip Pompeii since it takes pretty much a full day to look round it and we didn’t have that much time. 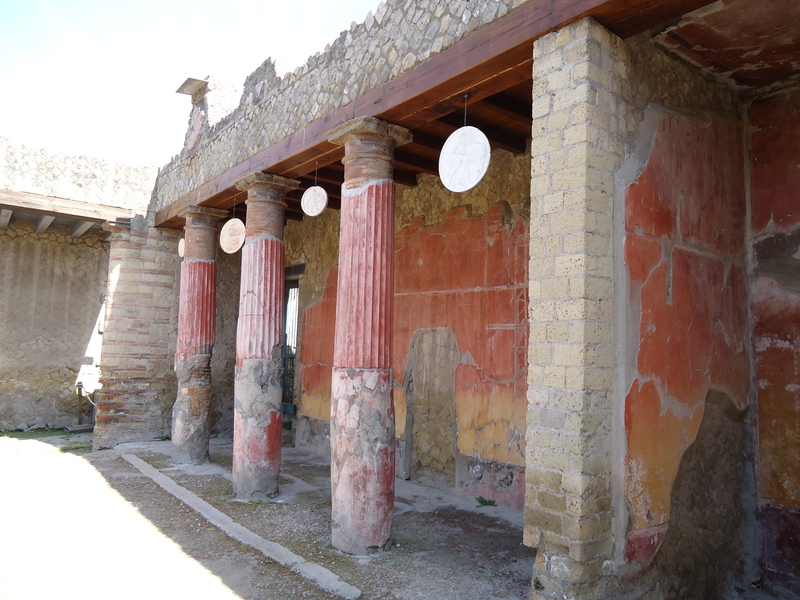 For anyone else spending just a weekend in Naples, you can see Herculaneum in about 2 hours, meaning there is also enough time to go to Sorrento in the same day, which is just what we did. 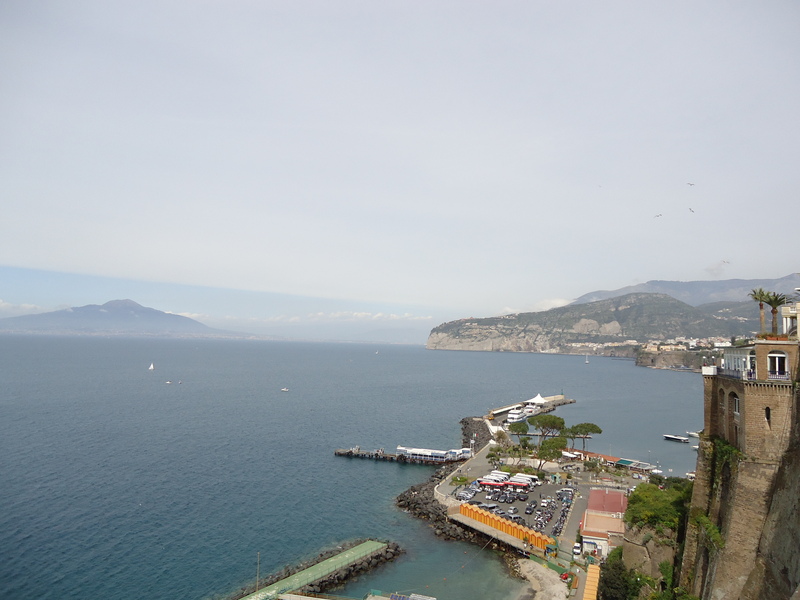 Sorrento is beautiful and noticeably cleaner and more well-kept than Naples, but it is also incredibly touristy, and this was only in April. Jo and I played ‘spot the English’ all weekend since they clearly stand out as being the most naked yet palest people on the streets. 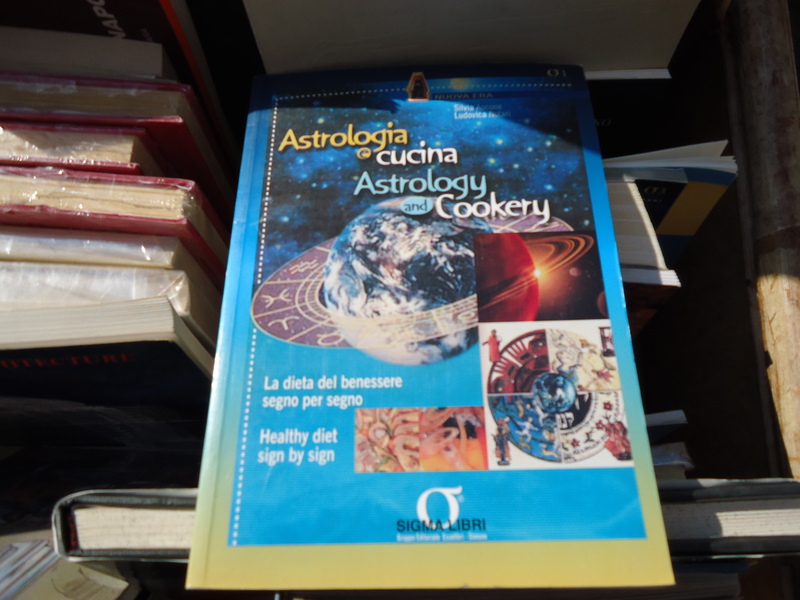 Other great tourist stereotypes to look out for there are ‘mahogany-toned pensioners who now spend their lives on the decks of cruise ships’ and ‘rich American high-schoolers taking their DSLR on a trip to “Europe” ‘. 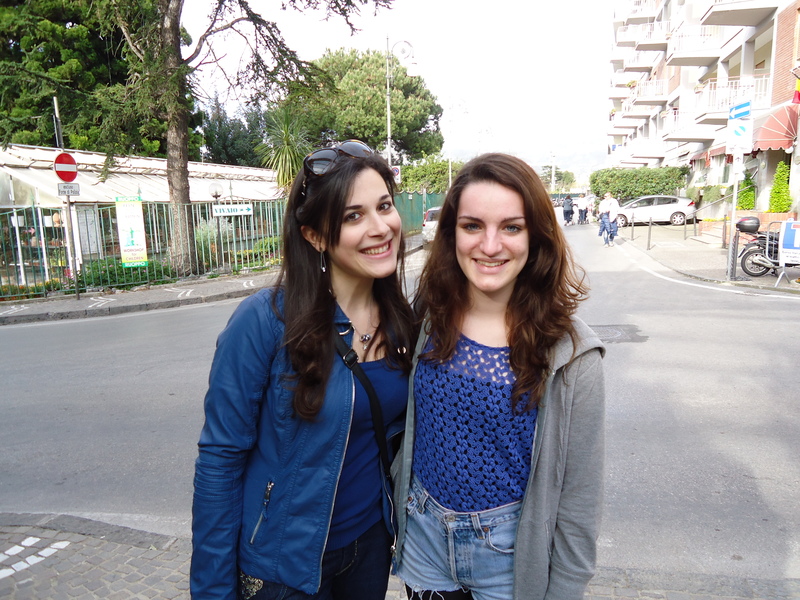 While there we almost met up with Serena, who was on Erasmus in Bristol last year. 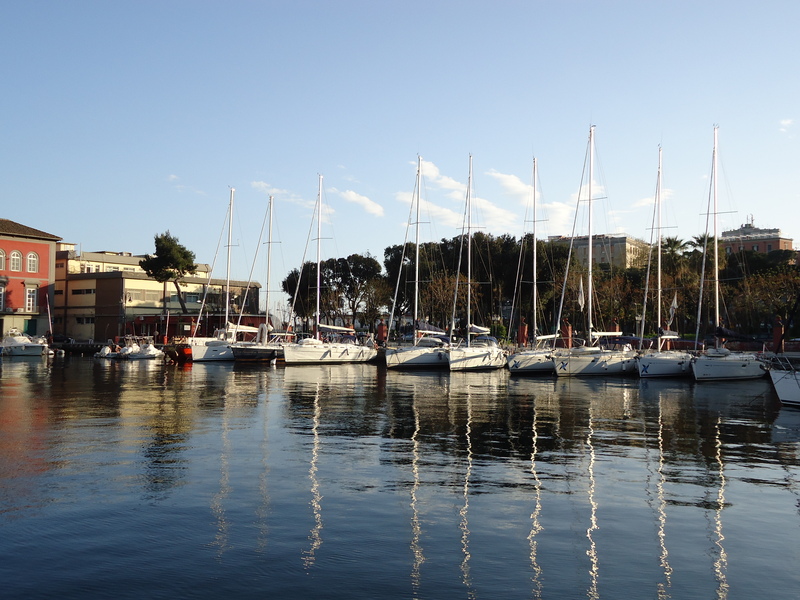 On Sunday we set off on a walk further west round the harbour, where it seemed pretty much everyone had come outside due to the beautiful weather, still wearing coats and scarves of course (apart from the leathery old men sunbathing in Speedos on the rocks…yum). Trying to take advantage of the sunshine we settled on the grass which is apparently just not the done thing, despite not being against any rules, and led to a lot of confused stares from the locals. 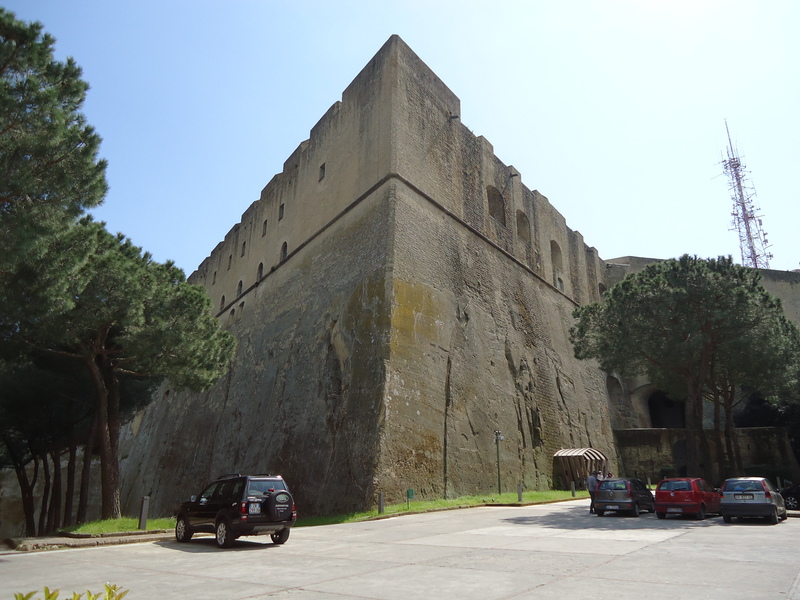 After an amazing lunch at Trattoria e Pizzeria Antica Capri, we took the funicolare up to the medieval fortress Castel Sant’Elmo so we could see the whole city. Beautiful. 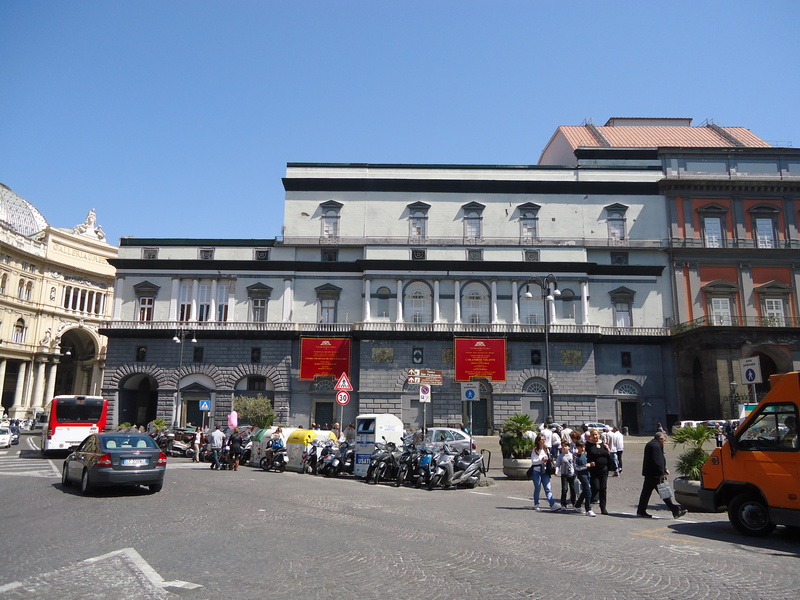 Sadly in the afternoon we had to head back to Napoli Centrale to catch our respective trains. I had high hopes for getting back in time for dinner, but since only about 10% of the trains I have taken here have left on time, I shouldn’t have been so optimistic. When I got to Rome my connecting 6pm train to Spoleto just stayed on the departures board without a platform number until 40 minutes after its departure time, when they just took it off the board with no cancellation announcement. This led to 15 minutes of queueing for customer services only to be told the next train would be at 8. There are also only about 5 chairs in all of Roma Centrale station, and the spare one I did manage to find was in the middle of a group of crackheads arguing over some ‘owed money’. I made a swift departure and decided it would probably be a better idea to just sit on the floor. 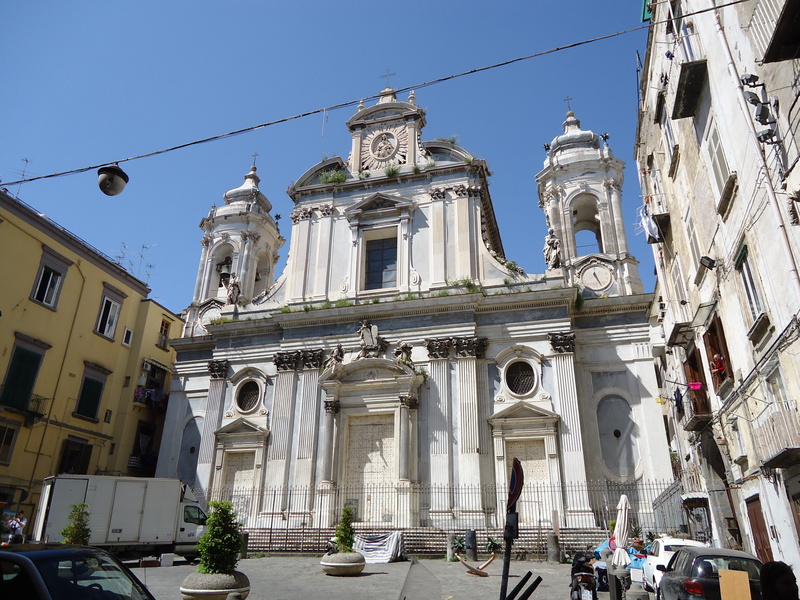 When I was finally on the train back the ticket inspector lady apologised for my train cancellation, putting it down as just one of Italy’s many problems, and rather poetically said ‘Amo l’Italia, ma è già morta’ (I am in love with Italy, but it is already dead). 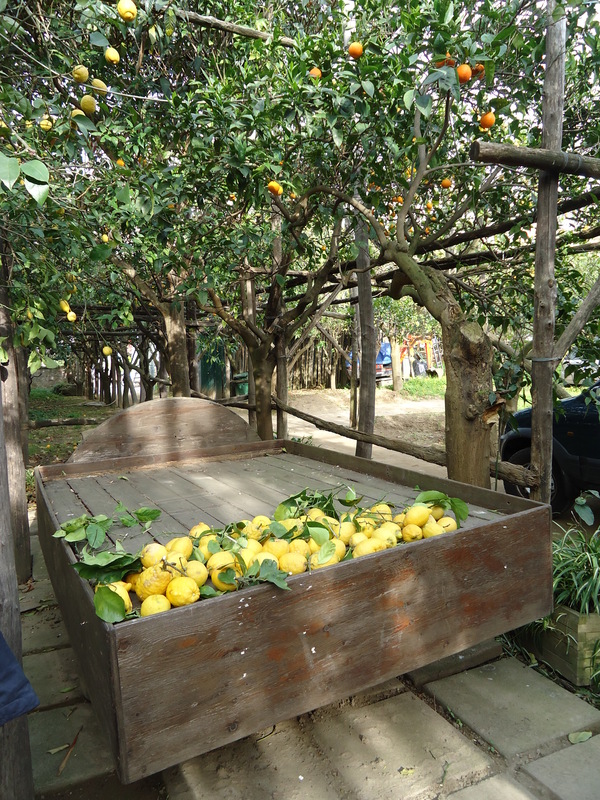 There must be something ingrained in all Italians which makes them speak in such a literary way, as the next day one of my students said to me ‘L’amore, che dolore’, meaning ‘Love, what pain’. Life sure is tough when you’re 9. 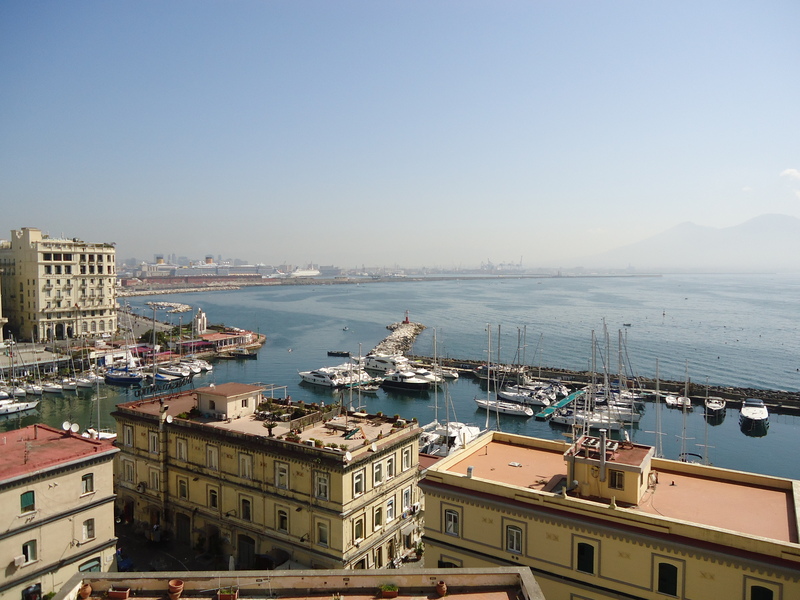 Food prices in Naples are insanely low. 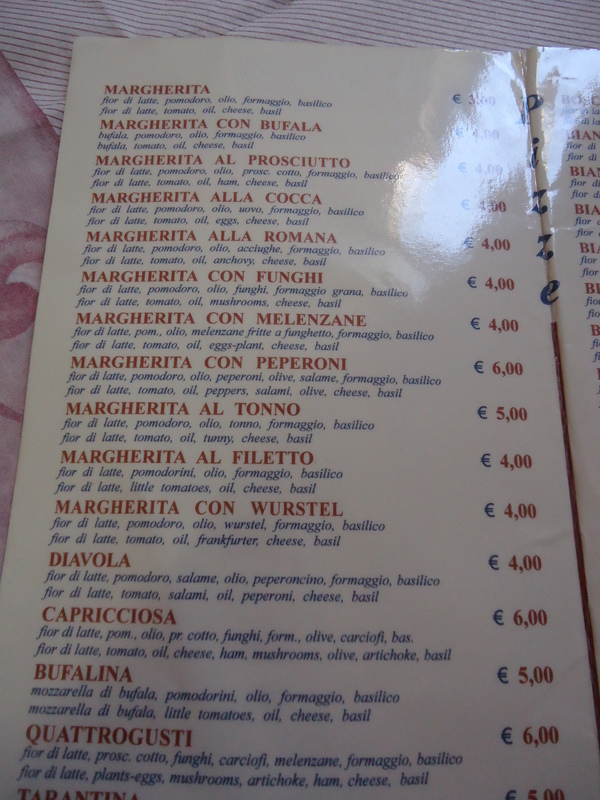 €3.00 for a margherita?? 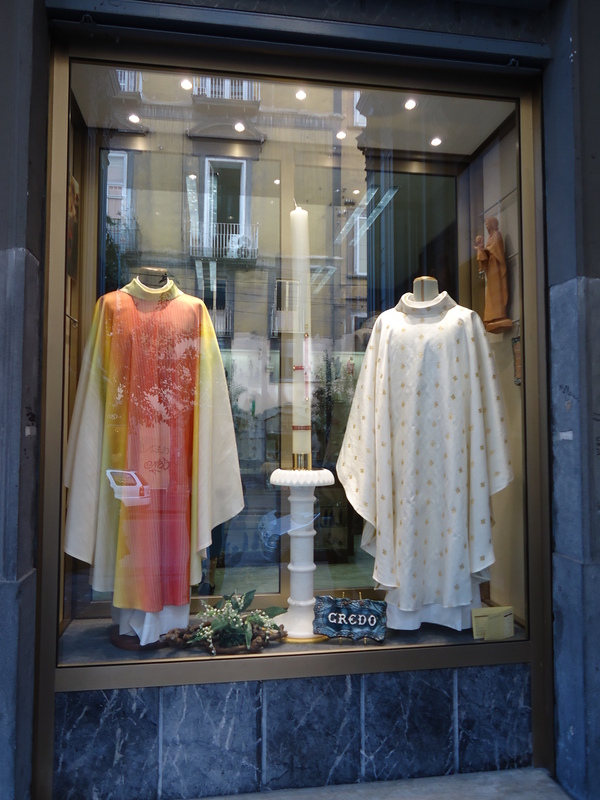 We found an actual shop selling religious robes and cassocks and habits and whatever else it is the hip modern clergy wears nowadays. It wasn’t just a tourist thing either, there was a real nun looking round inside. The habit the Italians have of changing English/foreign names into more ‘italianised’ ones has started to get to me recently, starting with when I was teaching about the British royal family and everyone kept talking about some ‘Prince Carlo’. For a long time I thought there was a mystery illegitimate Italian prince within the family who I hadn’t heard about because it had been kept tightly under wraps (maybe Philip’s a bit of a wanderer), but then I realised they were talking about Prince Charles. 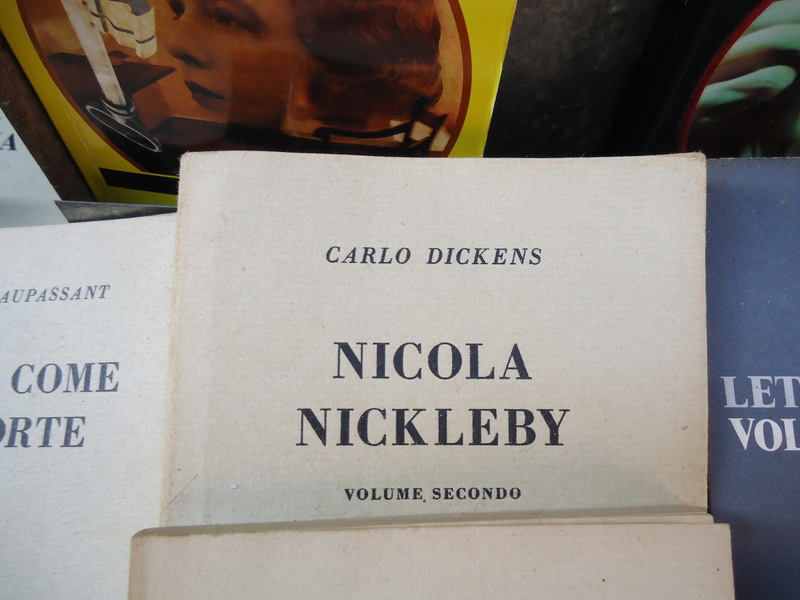 Similarly, I don’t think it’s right to change Charles Dickens to Carlo Dickens, or to change Nicolas Nickleby to Nicola Nickleby (in case you were wondering, Nicola is a boy’s name in Italian, they haven’t just switched round the genders in the story for banter). 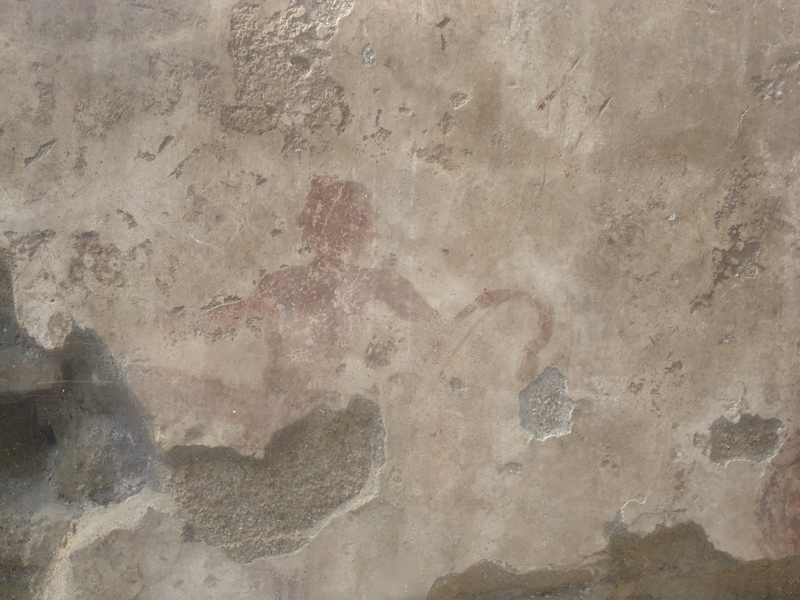 Only medics will probably understand the link here, but in Herculaneum there is a faded painting on the wall which is apparently of a man and his ‘giant phallus’ (as my recorded tour guide told me) whose name is in fact Priapus. 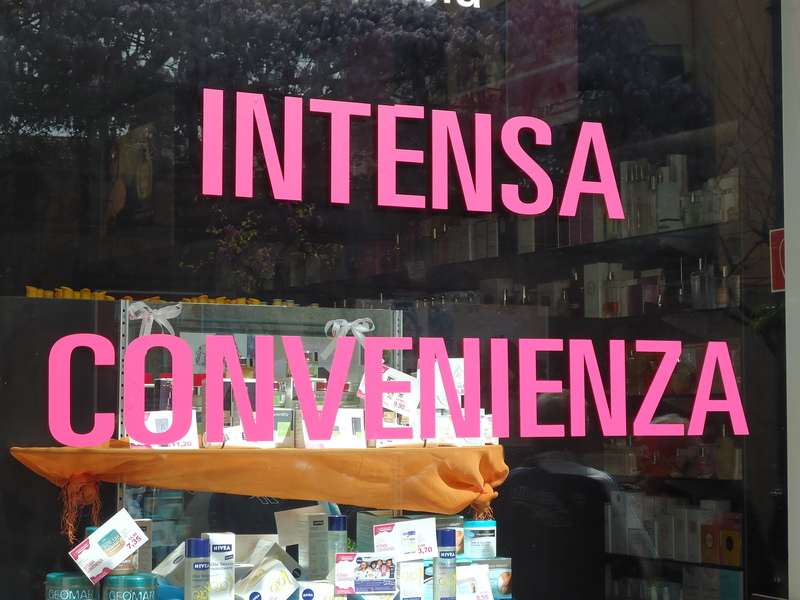 This shop offers INTENSE CONVENIENCE. 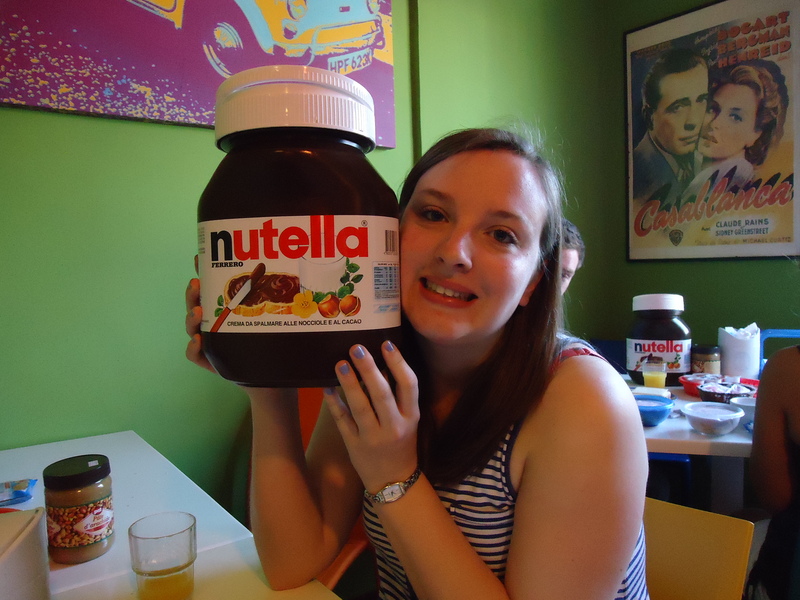 5kg of Nutella. I should invest.